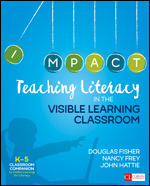 Apply the groundbreaking research and principles from Visible Learning in your classroom! 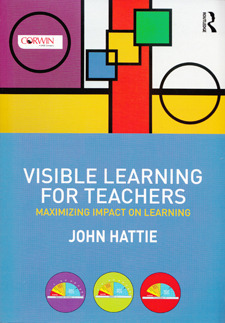 John Hattie offers concise and teacher-friendly summaries of the most successful teaching practices and interventions based on more than 900 meta-analyses. 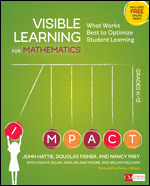 Practical, step-by-step guidance allows you to successfully implement visible learning and visible teaching to maximize achievement for students. 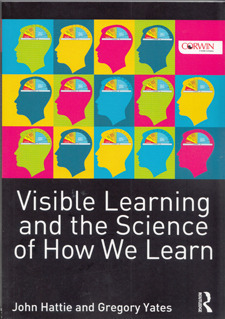 John Hattie joins forces with cognitive psychologist Gregory Yates to build on the original data and legacy of the Visible Learning project, examining how research into human learning processes can inform our teaching and what goes on in our schools. The authors explain the cognitive building blocks of knowledge acquisition and discuss how to maximise impact on student learning. 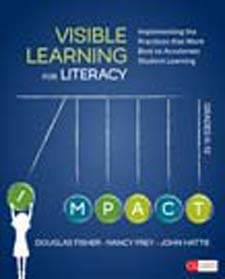 Visible Learning into Action is the next chapter in the evolving Visible Learning story, making John Hattie’s groundbreaking research concrete by showing how diverse schools have successfully brought the research into practical implementation. 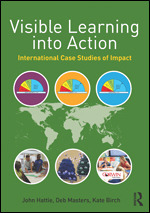 Features include 15 case studies from around the world, study guide questions, and annotated endnotes linked to online resources. 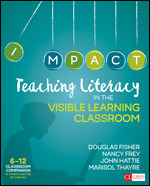 Renowned literacy experts Douglas Fisher and Nancy Frey work with John Hattie to apply his groundbreaking research to literacy practices. These practices are “visible” because their purpose is clear, they are implemented at the right moment in a student’s learning—surface, deep, and transfer—and their effect is tangible.